This is the 26th installment of our alkaline foods series where we feature a food from A-Z, sharing the benefits of the food along with suggested recipes to try! Zucchini is rich in fiber, water, vitamin A, vitamin C, folate, calcium, copper and potassium. For more alkaline recipes from around the web, visit and follow our Alkaline Diet & Recipes Pinterest board. See previous alkaline foods series posts. Although the food pyramid was updated to “my plate” in May 2011, and recommendations such as covering half your plate in fruits and vegetables and reducing the amount of grains were implemented, it still doesn’t quite hit the target. Americans spend more on healthcare than any other industrialized country, yet we remain among the sickest. There’s a fast food restaurant on nearly every main street corner, and the majority of the shelves at the grocery store are packed with unhealthy processed foods. Obesity, diabetes, cancer and other diet and lifestyle diseases remain at all time highs, and as a nation we are more sedentary than we’ve ever been before. Studies have been done on the healthiest and longest-living people in the world–the Hunza, the Vilcabama, the Abkhasia and the Okinawa people–to learn their secrets. They eat a largely alkaline diet using freshly picked organically grown fruit and vegetables, keep active with daily walks and climbs, and many also drink naturally ionized alkaline water from uncontaminated fresh-flowing rivers and streams. The alkaline diet is comprised of 80% alkaline foods and 20% acidic foods. Alkaline foods include most vegetables, non-sweet fruits, healthy oils, beans, nuts and seeds, while acidic foods include meat, dairy, and processed foods. People who follow an alkaline diet may experience weight loss, more energy and overall improved health. It is a largely vegan diet that is meant to be a lifestyle and not just a fad or crash diet. The alkaline diet has finally hit Hollywood and has captured the interest of stars such as Victoria Beckham, Jennifer Aniston, and Gwyneth Paltrow. In addition to dietary changes, Dr. Young also recommends one hour of daily alkaline exercise and 30 minutes a day of sunshine. You’ve likely been taught to avoid salt and oil and direct sunlight, so these recommendations may come as a shock. But your body needs healthy salts and oils to thrive, as well as the vitamin D that sunshine provides. We offer alkaline recipes, food charts, and shopping guides for those who are interested in trying an alkaline diet and lifestyle for themselves. This is the 25th installment of our alkaline foods series where we feature a food from A-Z, sharing the benefits of the food along with suggested recipes to try! Yellow squash is rich in vitamin C, potassium, magnesium, vitamin A, fiber, folate, copper, manganese, riboflavin and phosphorus. NOTE: All types of squash are alkaline. For more alkaline recipes from around the web, visit and follow our Alkaline Diet & Recipes Pinterest board. 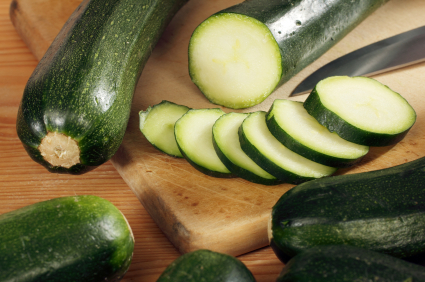 Stay tuned for the next installment of our alkaline foods series: Z is for Zucchini. Do you lay awake at night letting worry eat away at you, or run around all day feeling highly stressed? When we experience feelings of anger, stress, worry, guilt, anxiety and the like we flood our body with acids that damage our cells. In fact, Dr. Robert O. Young has found that negative emotions can have a more detrimental impact on the blood than eating even the worst of foods. Stress can manifest physically and show up as tension, headaches, back pain, lack of concentration and lack of productivity. It weakens our immune system and makes us more susceptible to heart disease. Gratitude can have such a powerful impact on our mood and way of thinking and should be felt on a continuous basis–not just once every November. Aim to take a moment each day to reflect on at least one thing you are grateful for. Feeling stressed about your job? Be grateful that you have one. Worried about your daughter’s grades? Be grateful that she is getting an education. When we hold onto feelings of unforgiveness, bitterness and resentment, we are the ones who suffer. Letting go is not always easy, but can feel like a weight being lifted off of your shoulders. Who in your life do you need to forgive? What steps can you take today to get closer to forgiveness? Pessimists often refer to themselves as “realists” and snub optimists, believing that they are living in a fantasyland and can’t possibly be that happy and naive. But we get what we put out into the world according to the law of attraction, so focusing on what you want instead of what you don’t want is the key. Remember, the only difference between a weed and a flower is a judgement. Even if you’ve lived your entire life as a pessimist, it’s never to late to change your way of thinking and feeling and experience growth. Exercise has long been linked to stress relief. Some of the easiest and best forms of exercising for relaxation are walking, stretching and yoga. There are many breathing exercises that you can try when you feel stressed or anxious and need to calm down. Inhale deeply and focus on your desired outcome or just the simple fact that you are filling your lungs with beneficial oxygen. Meditation is also very healing. Try reducing sugar, caffeine, alcohol and simple carbohydrates from your diet in order to get back to a healthy balance. Processing these foods is very taxing on the body. Something as simple as looking out the window when you are stressed or putting a vase of fresh flowers on your desk or kitchen table can do wonders to calm and relax you. If you have time to go for a hike or even just soak up a few minutes of direct sunlight and breathe fresh air you will feel revitalized. We are 70% water and when we are dehydrated everything from our mental focus to our energy levels is depleted. Because stress wears on our physical as well as mental body, staying hydrated can play a huge part in boosting mood and helping us to not run out of steam. Aim to drink a minimum of half your body weight in ounces daily, and drink filtered ionized alkaline water for best health. This is the 24th installment of our alkaline foods series where we feature a food from A-Z, sharing the benefits of the food along with suggested recipes to try! Xylitol is a natural sugar substitute made from birch bark that looks and tastes like white cane sugar but doesn’t come with nasty health problems like diabetes and obesity. You can use xylitol whenever sugar is called for in a recipe at a 1:1 ratio. For more alkaline recipes from around the web, visit and follow our Alkaline Diet & Recipes Pinterest board. 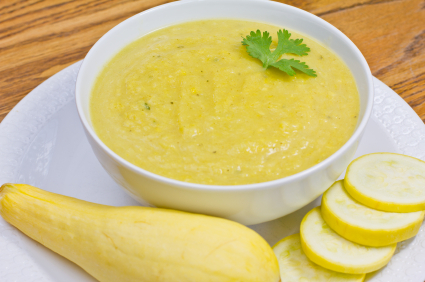 Stay tuned for the next installment of our alkaline foods series: Y is for Yellow Squash. Last year we added several new and exciting products to our already outstanding line. Offering all of the same great features and benefits as our original sleek black Miracle M.A.X., this new model showcases a beautiful patterned white design so that you can choose the design which best suits your kitchen. M.A.X. was the first ionizer to use nutritious Himalayan salt to create strong acid water rather than chemical injections and can produce antibacterial acid water in ANY water source. The Revolution is a 9-plate commercial-grade ionizer which can outperform even an 11-plate ionizer. It is designed for restaurants and other businesses which require frequent usage. Like the 7-plate Miracle M.A.X., it features a Himalayan salt port and can produce strong acid water in ANY water source. The Encol by Chanson Bottleless Water Dispenser is lightweight and is available in both countertop and free standing models. Imagine no longer having to wait or pay for bottle delivery, and no longer having to lug or store heavy water bottles. Instead you can transform your ordinary tap water into a fresh, filtered, on demand, eco-friendly water supply. You’ll save time, money and energy while helping the environment by investing in an Encol by Chanson Bottleless Water Dispenser over bottle delivery. The Chanson Miracle Sanitizer reduces and eliminates odors and bacteria from your home by dispensing activated oxygen into air or liquids. It has hundreds of of uses and good for your health, your wallet, and the environment because it can replace dozens of chemical toxic cleaners and air fresheners. The Chanson NANO2 Filtration System is an improvement over the original Nano due to requiring no electricity, a 40% weight reduction, and a lower end user price. Just as with the original Nano, the NANO2 uses high pressure created by a pump to separate contaminants from the water supply. Water is forced through a membrane that has tiny holes which are no larger than .0001 micron. This causes VOC’s, SOC’s, bacteria, viral contaminants and a host of other unwanted water pollutants to be removed. It comes with a durable 3.2 gallon holding tank so that you have an on-demand water supply. You can expect to see new and exciting innovations from Chanson in 2013, with a focus on continually improving filtration and users results on our products! Sign up for our newsletter below for exclusive access and to be notified of sales, specials and new products. This is the 23rd installment of our alkaline foods series where we feature a food from A-Z, sharing the benefits of the food along with suggested recipes to try! 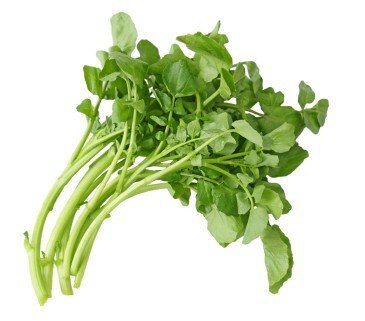 Watercress is rich in vitamin A, vitamin C, antioxidants, beta-carotene, B vitamins, vitamin E, folate, sulphur and calcium. For more alkaline recipes from around the web, visit and follow our Alkaline Diet & Recipes Pinterest board. 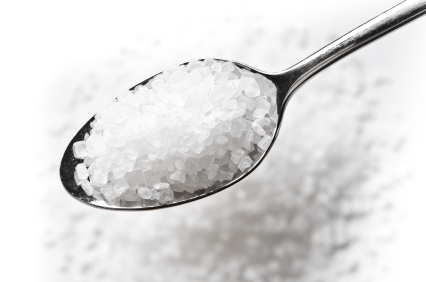 Stay tuned for the next installment of our alkaline foods series: X is for Xylitol. Would you like to lose weight or start eating healthier but don’t know where to start? The following is an outline of habits you can shift in order to achieve best health. Try to choose at least a few of them to start implementing today, and gradually shifting more habits as you master the first changes. Soda is quite frankly the worst “edible” thing we could possibly consume. Not only does it pack on the pounds and contain excessive amounts of sugar, but it contributes to an acidic environment in the body which breeds sickness and disease. Try to scale back slowly until you are consuming no soda at all or one every blue moon. Click here to read what the experts have to say on soda. 75% of Americans are chronically dehydrated, and ionized alkaline water is the best drinking water of all because it contains bioavailable minerals, antioxidants, an alkaline pH, and is super hydrating. Try drinking half your body weight in ounces daily in order to stay fully hydrated (here are 7 Tips on How to Drink More Water). If you can’t afford a water ionizer just yet, start drinking quality filtered tap water by installing a Chanson prefilter. The alkaline diet is rich in whole foods like non-sweet fruits and vegetables and severely limits things like meat and dairy. It is not for everyone, but is very successful at weight loss and strengthening the immune system. Here are some acid-alkaline food charts and alkaline recipes as well as an article on 4 Tips to Shift Your Eating Habits to get you started. Sugar has been proven to be more additive than cocaine, and has been linked to cancer and other diseases. We eat way more of the white stuff than is healthy or natural. Here’s how to conquer your sugar cravings and choose some natural alternatives. Have you heard? There’s a green smoothie revolution going on! Health-conscious people all around the globe are juicing and blending green concoctions like kale, avocado, grasses, cucumber and celery on a daily basis to give them a severe nutrition boost! Start experimenting with your favorite alkaline fruits and vegetables and aim to drink at least one green juice or smoothie a day. Here’s a tip on how to save time and money on your juicing and smoothie-making. You can jumpstart your health by clearing out some of the crud that has been accumulating with a detox. Try it for a day, a week, or even a month and feel the results! Our homes are actually more toxic than a polluted city street. Everything from the carpet underneath your feet to the chemicals under your sink contain known carcinogens that wear down our immune systems and add to our bodies’ toxic load. Here are 10 ways to reduce toxins in your home and five all natural cleaners. We all know that we should work out more, and the benefits of exercise. But did you know that vigorous exercise can actually create acids which are harmful to the body and weaken joints? Pick some soft alkaline exercises you are comfortable with and start doing them regularly.